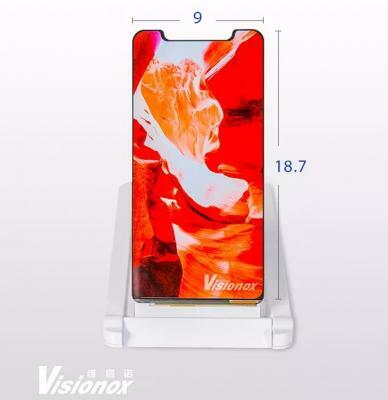 China's Visionox introduced a new AMOLED display, a 6.21" 2160x1080 panel that has a notch-type design (similar to the OLED used in Apple's iPhone X). China's smartphone maker Doogee used this display in its new flagship Doogee V smartphone. The display enabled Doogee to achieve a very high screen-to-body ratio of 94.85%. 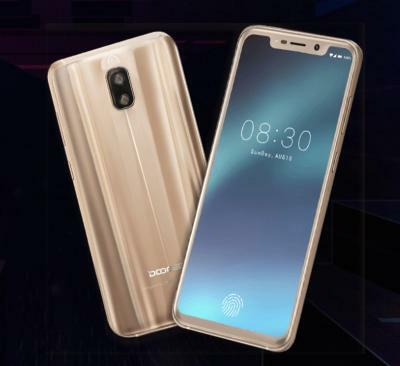 The front of this phone has no physical buttons, and Doogee implemented an under-the-OLED fingerprint sensor under this 6.21" AMOLED.